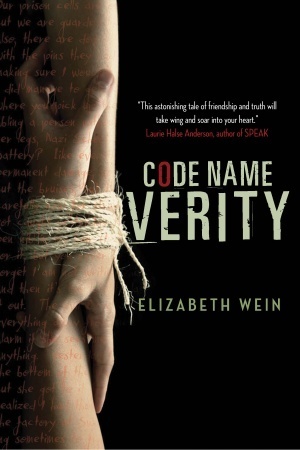 Elizabeth Wein’s novel Code Name Verity is, in part, the confession of a female SOE agent captured by the Gestapo in Nazi-occupied France. Verity, who keeps her real name hidden for much of the book and is alternately referred to as Queenie or Scottie (she is adamantly not English), has sold eleven sets of wireless code to the Gestapo in return for an end to torture and time enough to write down everything she knows about the British war effort. Verity’s narrative, however, is also a way to abuse her Nazi captors and, most importantly, to explain how she came to be in France, which means telling the story of her friendship with Maddie Brodatt, the female pilot with the Air Transport Auxiliary who flew her over the Channel. Through Verity’s strong and distinctive voice, we learn about the ‘sensational team’ that Maddie and Verity make and how they fight to assist the British war effort as pilots, spies, and wireless operators, despite others’ doubts about their abilities and bureaucratic barriers at every turn. There are moments of transcendent, lovingly described flight in this novel (Wein herself is a pilot), evoking the freedom and responsibility so grudgingly allowed these young women. Their beautifully developed friendship is structured by Verity and Maddie’s telling each other their ten greatest fears, which change over the course of the novel, as they are faced with increasing danger to themselves and others and must make impossible decisions. Verity and Maddie are both engaging characters, with individual voices. The Gestapo characters are complex and human and each responds to his or her role in interrogating spies and resistance fighters in various and realistic shades of grey. This novel has two narratives, of which it is best not to say too much – ‘Careless talk costs lives’. 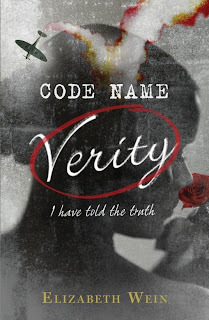 However, the second narrative throws Verity’s into sharp relief, providing a different perspective on the events of the novel, and delves into the question of what narrative truth – verity – means. This is a captivating thriller, as well as a heart-breaking story of friendship in wartime, and it demands to be read over again to see just how wonderfully constructed Wein’s double narrative is. P.S. This novel reminded me in places of Mal Peet's fabulous novel Tamar, which also featured British SOE agents behind enemy lines. If you like Code Name Verity, and I suspect you will, you may well enjoy Peet's novel as well.